To celebrate Team Sky’s participation in this year’s Tour of Britain, which starts on Sunday, Rapha has issued a special edition jersey to underscore the team’s hopes for victory. 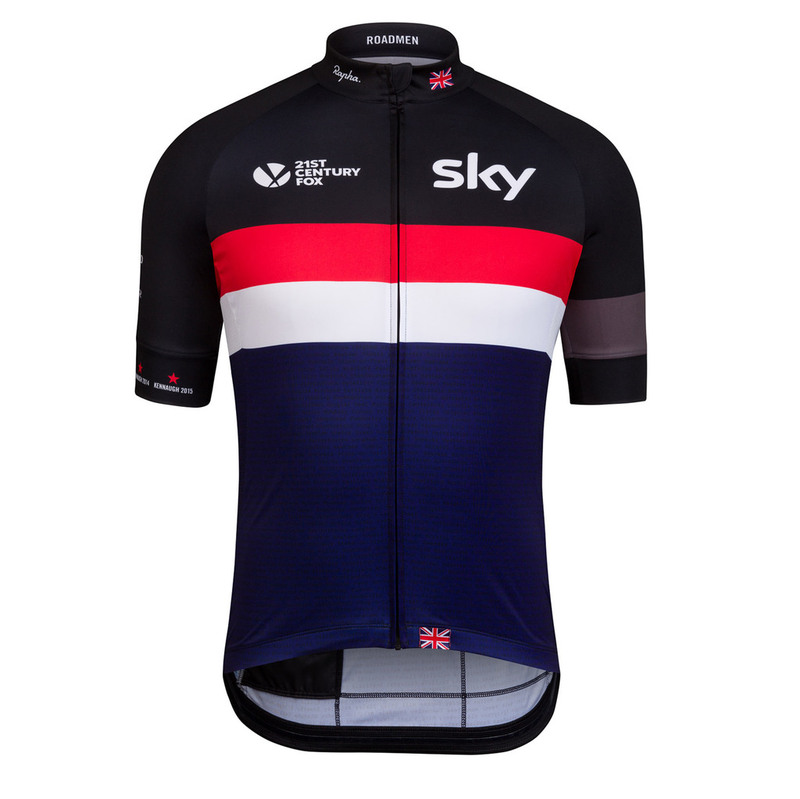 The Team Sky Country Jerseys are inspired by the leading cycling nations of Europe where the team train and race; Belgium, Italy, France, Spain and Great Britain. Constructed from a breathable stretch fabric, the lower half of each jersey’s tricolour pattern features a sublimated print celebrating key climbs, roads and landmarks from each country. Released in limited numbers throughout the season, from the Spring Classics through to the summer, to celebrate the year’s best races and racing.